All the while I'm working on this project I keep thinking about that joke -- How do you get to Carnegie Hall? Practice, practice, practice. It's the same with shirts, it's all about the practice. It's also all about embracing the details rather than dreading them. I really have to slow down and just take it a step at a time. I finish a little fussy bit and then I walk away. Needless to say it takes me forever to complete a shirt! Here are some of the little details that I've been wading through. Because I'm using a striped fabric I opted to do a two piece yoke. 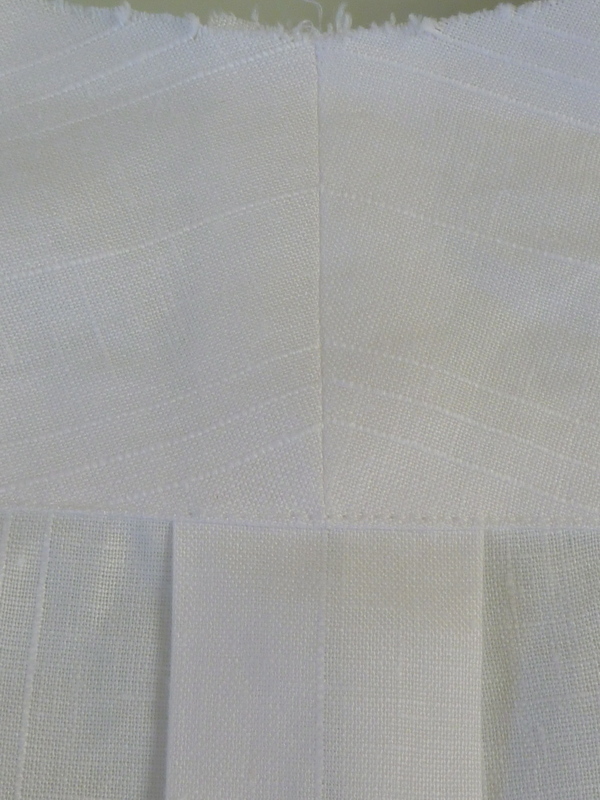 The stripes end up parallel to the front edge of the yoke, and a chevron forms at the back. I think it adds some interest to an otherwise very plain back. I'm also very pleased with my matching. I had plenty of fabric to work with for once, but if I had been running short a two piece yoke is the way to go. In many cases the four pieces required can be cut from scraps. 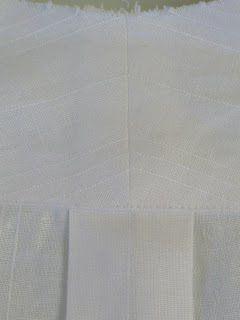 The sleeve plackets are from David Coffin's book. I really enjoy making them. It's total sewing origami. The linen pressed beautifully, so they were a snap to do. I've been spoiled by my homemade shirts. I want them as nicely finished on the inside as the outside. No serged seams for me. This pic is of the inside of the sleeve / body. 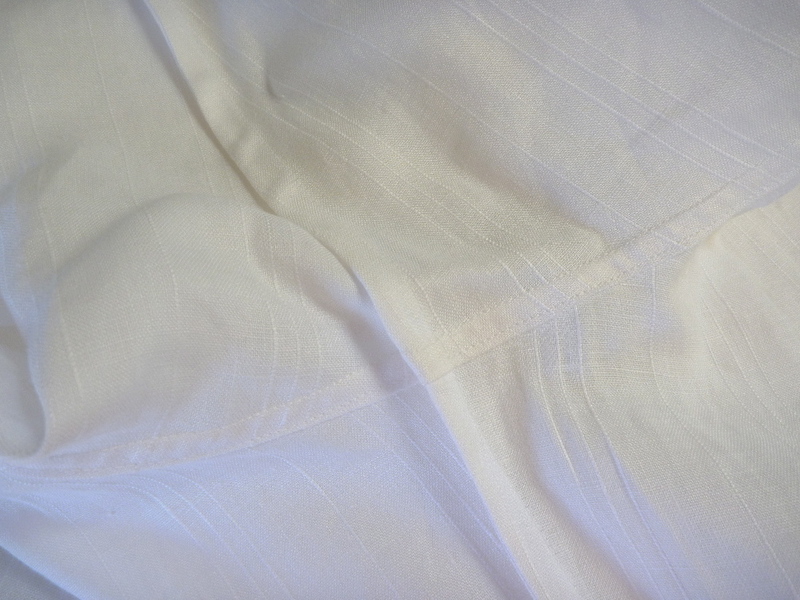 The horizontal seam is a sort of "faux felled" seam at the shoulder. After sewing the sleeve / body seam I trim one side of the seam allowance and fold the other allowance over it. Then I topstitch from the outside. 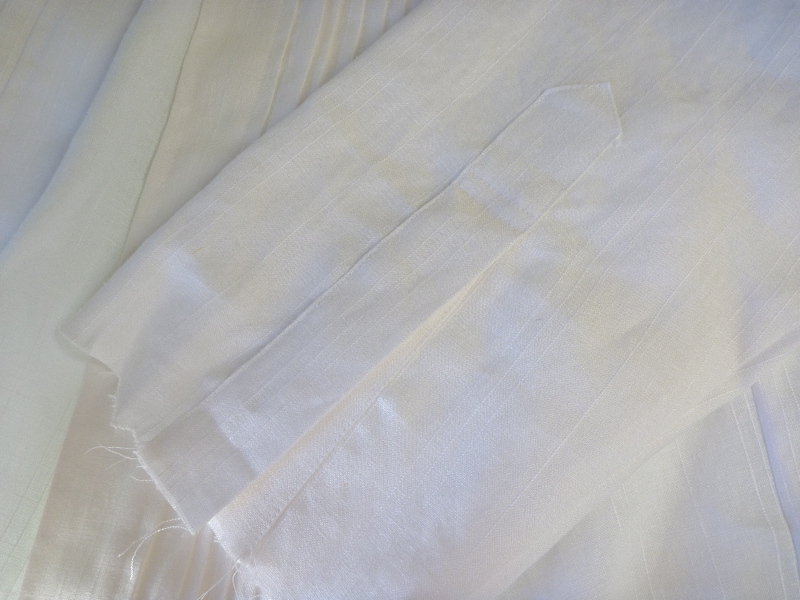 The vertical seam is a French seam that closes the sleeves and sides of the shirt. This was my first time doing this, and it's much easier than a felled seam. 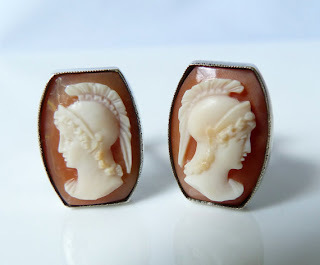 I've decided on a single French cuff rather than the doubled back variety. It's just not as clunky and formal, and more fitting for a casual shirt. I edgestitched the cuffs rather than use the typical 1/4" topstitch. Just a personal preference. 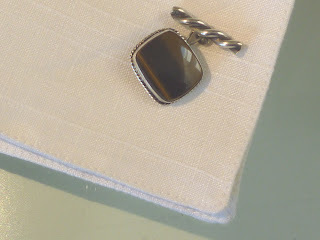 Those Athena head cufflinks will look wonderful on a beautiful, hand-made linen shirt. Enjoying following your process on this one!